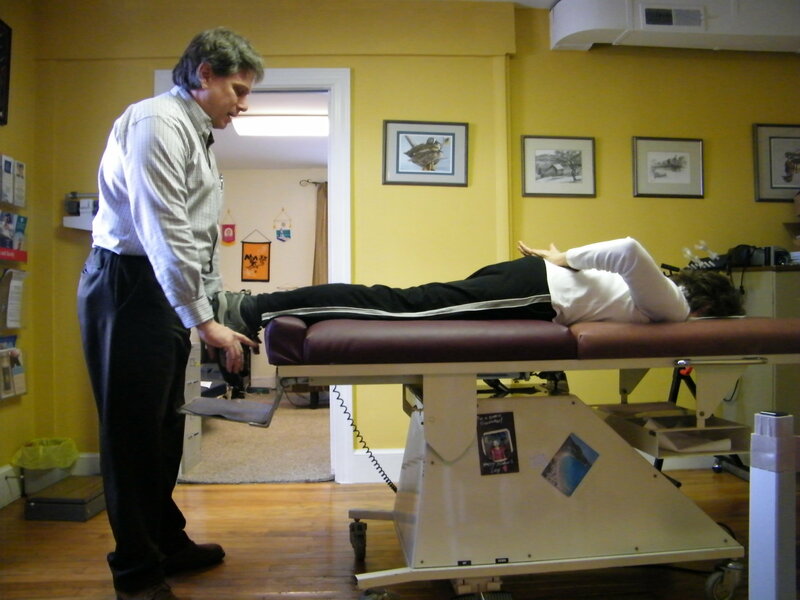 Using the Activator Methods analysis technique the chiropractor can find neurological interference by observing changes in body muscle tone between the right and left sides by looking at leg length changes. Flexing one leg will stress the pelvis on that side and if the pelvis is fixated it will trigger a "short leg" reflex that indicates a subluxation in the pelvis on that side which must be corrected by the chiropractor. 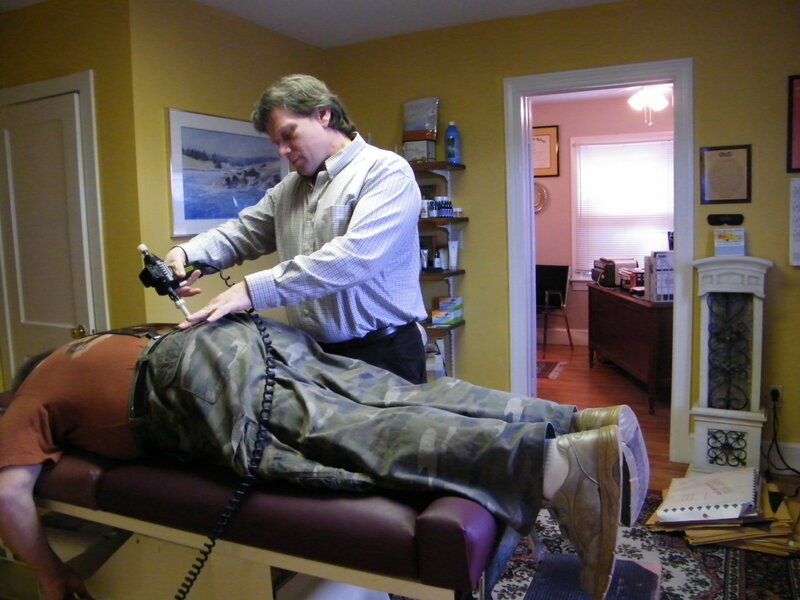 Using the Arthrostim, a high speed spinal adjusting instrument with its repetitive pulses moves misaligned vertebrae back into its normal position painlessly. No pop or crack sounds! Great for nervous patients who may not like manual or hand adjusting styles. Starting out in Position 1 using the Activator Leg Check analysis the patient places their arm behind their back, if the leg gets short this is a neurological indication of lower lumbar nerve irritation due to spinal misalignment. 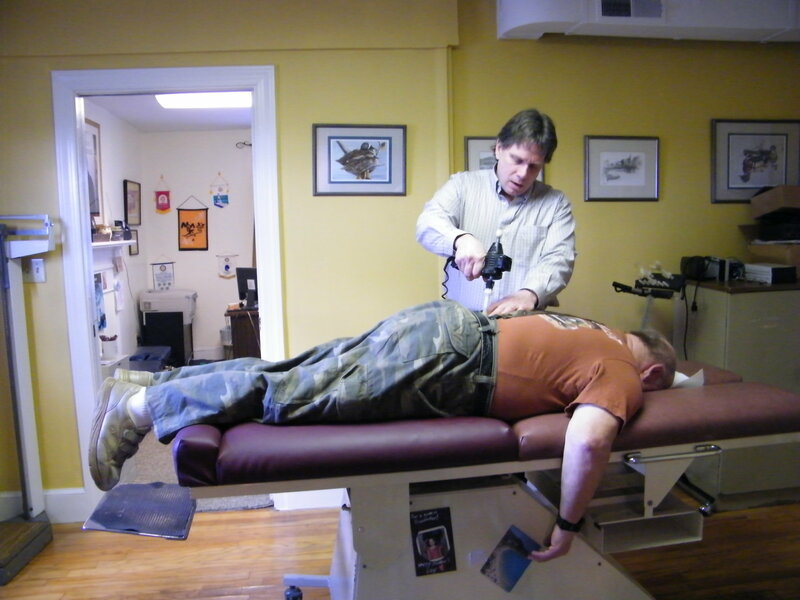 Knowing what to adjust and what to leave alone is crucial, anyone can "pop" your back but only a chiropractor can adjust your spine and get a correction. Using high speed instruments like the Arthrostim pictured here, Dr. Kydonieus gently "pushes" the vertebra back into a more normal position. 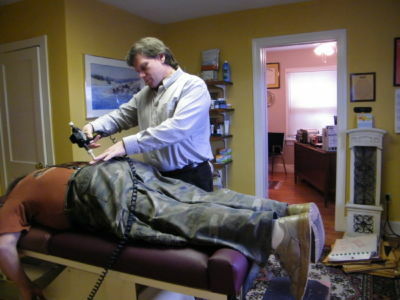 This relieves the nerve irritation returning the body to a more normal state. Now your brain can communicate with the body without interference, thus acting healthy and symptom-free. The Activator Table gently lays you down without bending down. 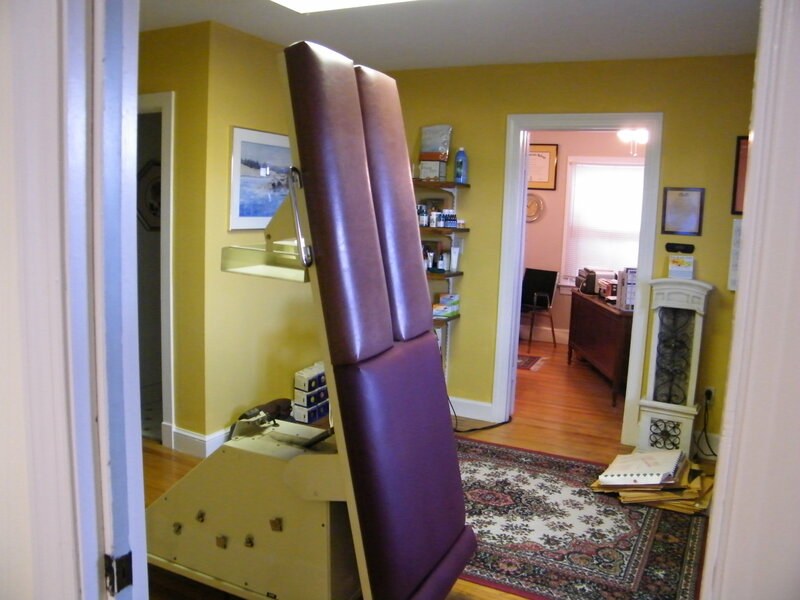 This putsy you at the proper height so that Dr. Kydonieus examine and treat you chiropractically with ease. Kids and adults love the ride! Adjusting infants is very safe and necessary. Birth is a stressful process and their spines will have early misalignments from delivery and from the position they were in during pregnancy! Yes the current research shows that fetal position during pregnancy can cause your first spinal misalignments. These can only be corrected by a chiropractor. 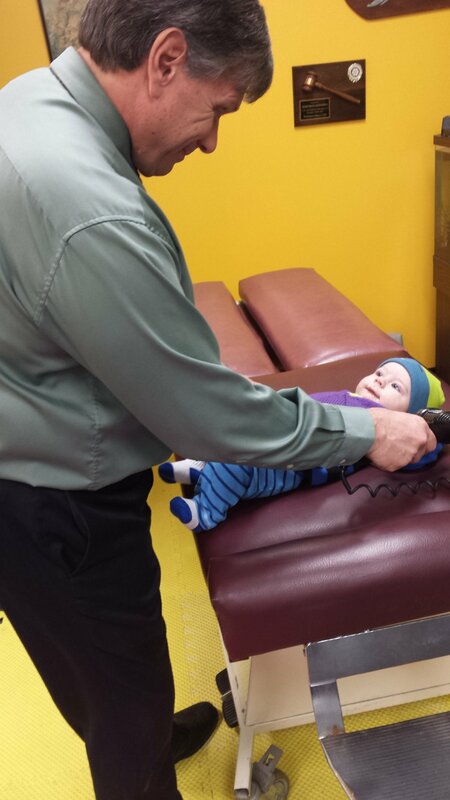 Here Dr. Kydonieus is adjusting a 2 week little girl using the Arthrostim instrument. Never felt a thing and it was over in a second! Adjusting babies is fun for all! 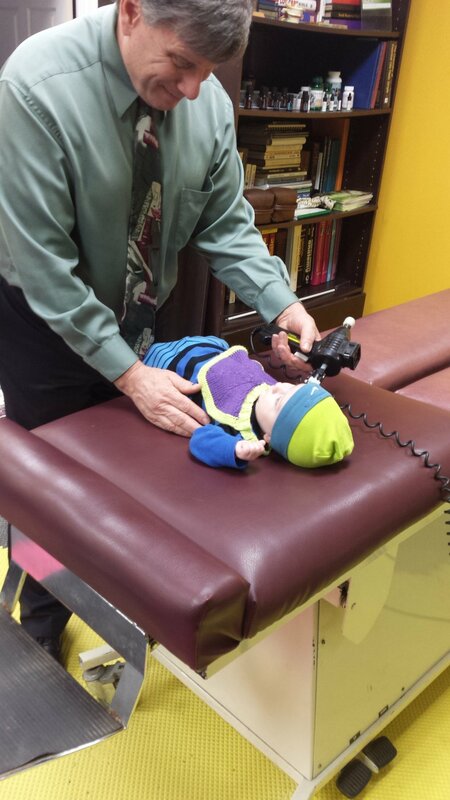 Getting your child checked for nerve interference as soon as possible is crucial for the best development and growth potential. Adjusting babies is safe and proven to help many conditions like colic and ear infections but is the only healthcare treatment that can determine if proper nerve communication is happening. People Who Love Dr D!